The 12th Tap Battle: Illusory Dungeon event for Fire Emblem Heroes is called “Kingdom of Nohr”, and it takes place from January 15th to February 7th. During that time, there’s sets of Daily Special Quests for you to tackle, with different rewards every time (available until January 22nd). And starting on January 18th, there will even be two types of Tap Battle quests for you to clear. Make sure you check out the Events and Content Updates page for details about those quests. 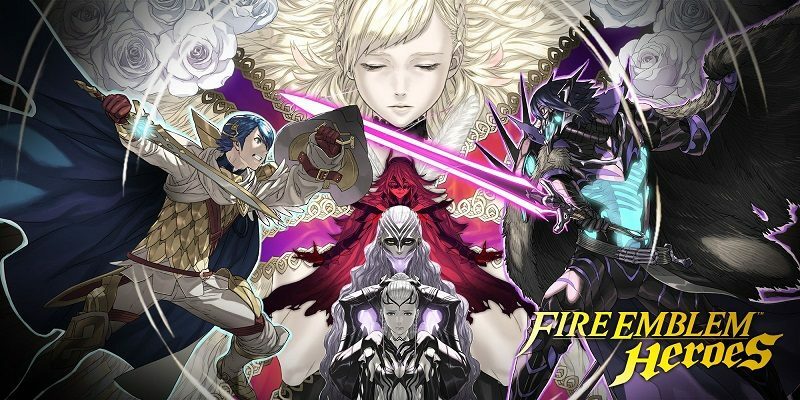 Fire Emblem Heroes – Tap Battle: Illusory Dungeon – How does it work? Tap Battle: Illusory Dungeon is a simple battle game, where you need to tap the Summoner on the screen with the right timing to defeat enemies, as they’re drawing near you. If your timing is just right, enemies will be hit by a critical attack, and will fly off-screen. You can rack up combos by chaining those critical attacks. Unlike other events, you can even use Heroes who have not yet been leveled up, as they can still fight at full power. Your goal in this event is to clear all 100 floors of the dungeon, but who knows what you will find on the deepest one… (Hint: a special reward!). In order to clear a stage, all you have to do is get to the end of it with HP remaining: it’s as simple as that! Each stage contains 5 floors to explore, with bosses appearing at floors 20, 40, 60, 80, and 100. Unlike regular enemies, bosses are much trickier: they have more HP, more complex movement patterns, and they hit much harder! If you’re looking for a challenge, you can choose to play on Hard: this makes enemies harder to defeat… and significantly more numerous than on Normal! But you don’t need to worry about missing any reward by sticking to Normal: all of them can be earned on Normal. Hard is just a little extra for players who are really enjoying the game and want to test their skills! But if Hard still isn’t enough for you, you can try Expert Mode: this one forces you to tap each Hero’s row to attack enemies, instead of simply tapping the Summoner. Your records for each mode are saved separately, so you can try switching things up a bit once you’ve mastered one. All rewards are also available in Casual, so no need to force yourself to play on Expert if you don’t feel like it! By the way, you can earn rewards every day you play! Also, your Heroes now earn Hero Merit when they go to battle, with the amount being based on the number of attacks done to enemies. If you want lots of Hero Merit, try the harder difficulties! It’s recommended to play with the music and character voices on. You can adjust the settings by tapping the “Tap Battle Settings” button. If you feel that your timing is off, try adjusting the timing settings there! You can use the “Adjust Timing” to make adjustments to the input timing, and then use the “Manu Adjustment” option to fine tune them.